City Hall Hours are Monday through Thursday 8:00 am to 4:00 pm, and Fridays 8:00 am to 12:00 noon. The City Council meets the 3rd Monday of each month in the City Hall Council Chambers at 7:00 pm. Special Meetings are posted in the City Hall front door window. 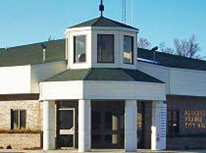 The City of Parkers Prairie has economic development money available. The fund has been established to provide matching loans to qualified businesses. 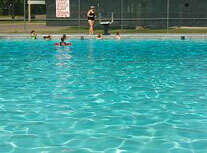 The community offers many opportunities for recreation and leisure, including a community swimming pool and bathhouse. 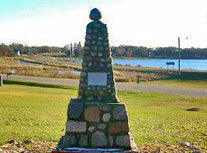 Parkers Prairie is located about 20 miles north of I-94 at the Alexandria exit in West Central Minnesota. 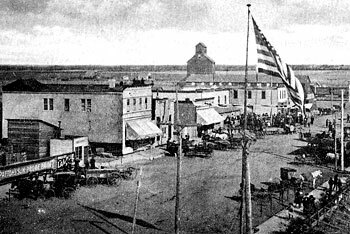 Parkers Prairie was founded as early as 1868 with a General Store on the shores of Lake Adley and incorporated in 1903. Parkers Prairie became a reality when two men, Parker and Adley, blazed a trail to Otter Tail County through dense timbers and marshes and arrived on a beautiful prairie. Legend has it that they climbed a tree and discovered a beautiful lake on the edge of the prairie. The City of Parkers Prairie is an equal opportunity employer. Interested in receiving severe weather notices or other emergency notifications? Otter Tail County and their community partners provide a high-speed emergency notification system know as CodeRED. CodeRED is capable of delivering customized emergency messages by telephone call, text messages, and emails to keep residents and businesses informed of emergencies and other time-sensitive information. Notifications can be sent to individual neighborhoods or communities, or the entire county for critical situations like weather, missing persons, and evacuation notices. Click on the link above to get on board, the application process takes less than 5 minutes and is an additional source to get emergency notifications specific to your area.